With the Mr being a HGV Technician Jamster has a love for everything vehicle related, especially trucks, so the Tow Truck Tim and Rolling Ray from WOW Toys was the perfect parcel to arrive in the post! The magnetic winch connects to the car and pulls it onto the truck with ease - by holding a green button on the trailer. The winch connects to all of the other cars from WOW toys which is great for those with a collection of their products for your child's rescue missions. To release the car you can pop down the click opening tailgate and press the red button and watch as Ray rolls back down ready for action. The figures are chunky which is perfect for little hands to grip and it's nice to see the mechanic is female and the driver male for a bit of role reversal. No batteries are required which is always a bonus and the Friction-powered motor on the truck allows it to drive along by itself while the car has moving wheels for push-along fun. The windscreens on both the car and truck open to allow access for the figures and with realistic engine sounds it helps to stimulate your child's senses and develop motor skills. The toy also helps to develop discovery and leaning skills, social interaction and encourage role play and exploration. 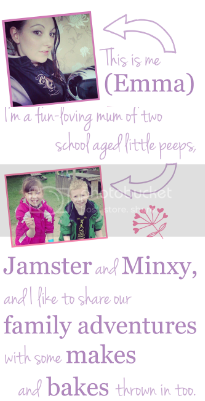 Although its suggested as suitable for children aged 18 months - 5 years Jamster is 6 and loves playing with it! It is brightly coloured and has 13 functions to keep your little one occupied for hours. 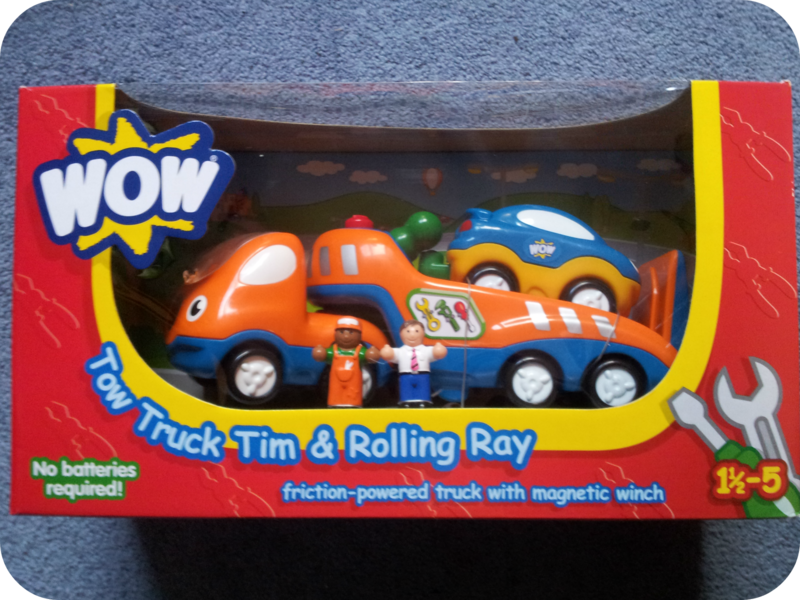 WOW Toys have kindly provided a Tow Truck Tim and Rolling Ray to giveaway! 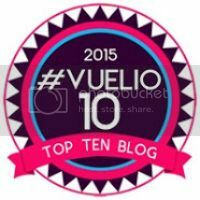 You can enter via the Rafflecopter entry form below. My youngest daughter loves Pippa's Princess Carriage! 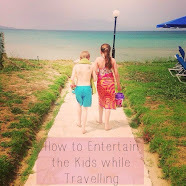 Following on Networked blogs (Lisa Troccoli/lisa@hottroc.co.uk) I like the Casey Camper Van. I like the playmat - Georgie loves things like that! My son would love Dexter the Digger! He loves anything to do with construction! Fireboat Felix is our favourite! pippas princess carridge! i follow on email as talcfour. Pippa's Princess Carriage is by far my favorite! I just got my son the speed boat for Christmas...I LOVE WOW toys!!! 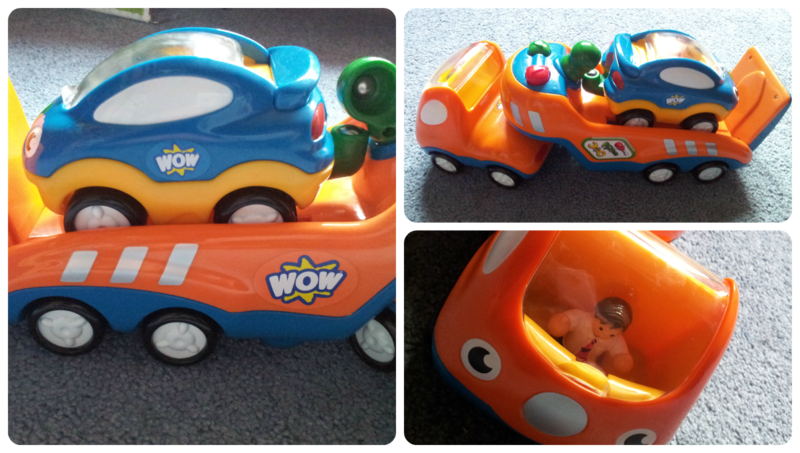 My son loves all his wow toys he has but likes to play with Off road ollie and cassie camper. favorite is whiz-around Amy...such cute toys. We love Casey Camper Van! Hard to choose a favourite, we love them all. Maybe bumpity bump bernie, he is out oldest, he was originally bought for my now12yr old when he was 2! I love Harvey the Harvester too ... coming from many generations of farmers (sadly dying out now!) I love farming toys and unusual to see a Harvester, my little boy adores anything with wheels, he is car obsessed and would adore this transporter. We love Ernie the Fire Engine! and networked blogs (stephen holman) thanks! Thanks for sharing your thoughts about hack for dragonvale. Hurrah, that's what I was exploring for, what a stuff! present here at this web site, thanks admin of this web site. It's fantastic that you are getting ideas from this post as well as from our argument made at this place. It's an amazing post in support of all the online people; they will take benefit from it I am sure.